Wife's PC has been overheating recently. After I cleaned it all out (inside psu and inside huge dell heatsink), cleaned all the old thermal paste off and put a tiny amount of arctic silver on. The temp at idle is back down to a good 27-28 celcius. But for a bit of extra help in the future if it needs it, I build this little panel this morning. 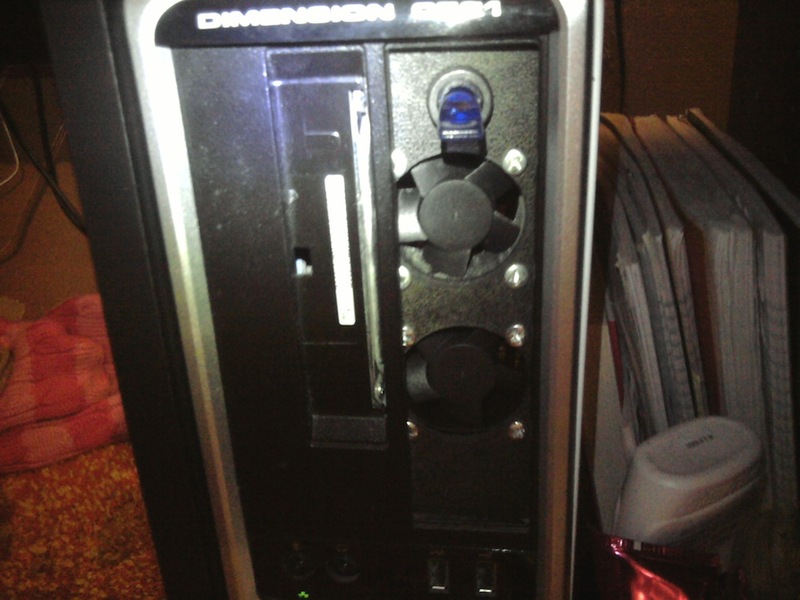 Upgraded to AMD Athlon X2 4000+, 4GB Ram, nVidia GeForce 9400 GT 1GB, 2x160GB SATA HDD's, no optical drive. generic 12v switch controls it and we'll see how good the arctic silver holds up. ps. I know you can see the hard drive. I have to shave the back of the floppy hiding cover for it to fit.